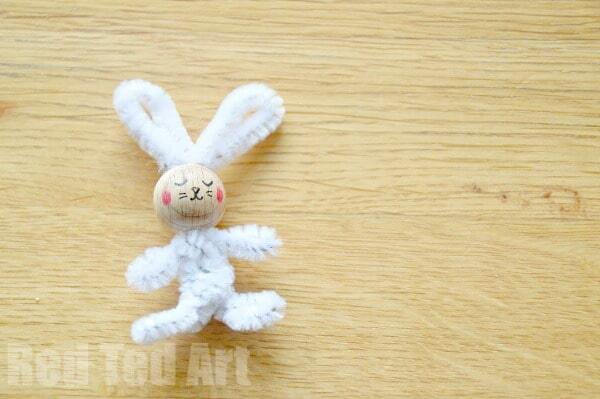 Sneaking in another cute little Easter craft for you.. as I can?t resist making some fun little bunnies? 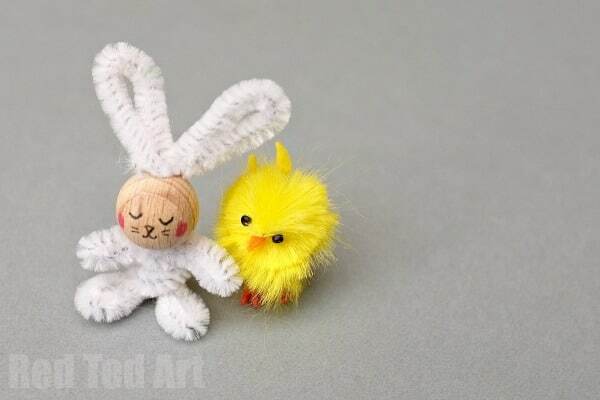 here we have some pipe cleaner bunnies, that are quick and easy to make? I can imagine a whole set of these bouncing around the house. It is probably one of the simplest pipe cleaner bunny crafts that you can make, so take a peak and let me know what you think! 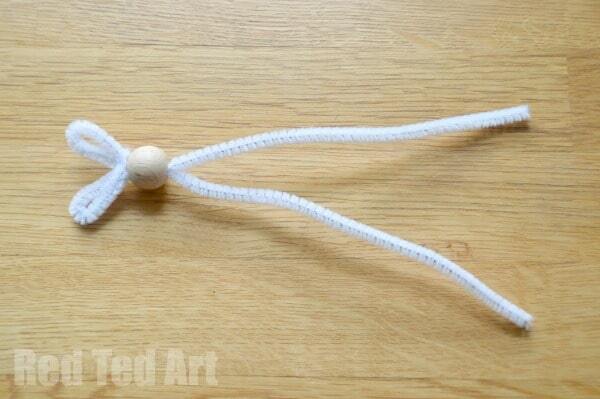 Take your first pipe cleaner and bend two loops to form the ears for your bunny craft. 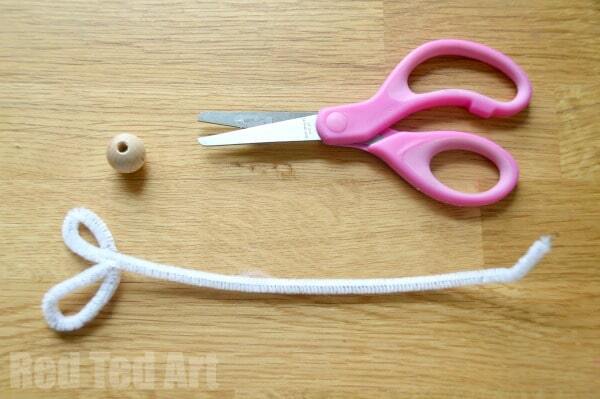 Snip JUST below these to loops (if you want to can give them a quick twist first). 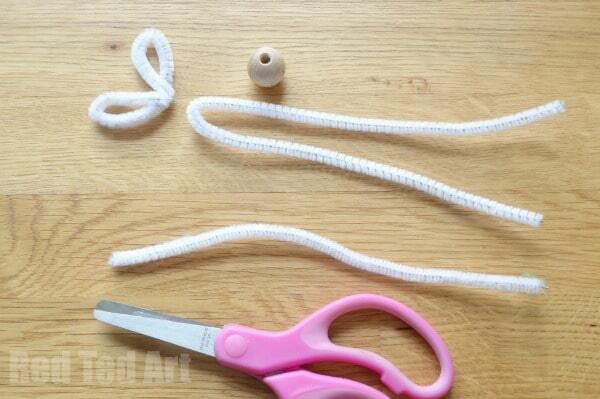 Thread the long pipe cleaner through the bead ? securing the bunny ears in place. 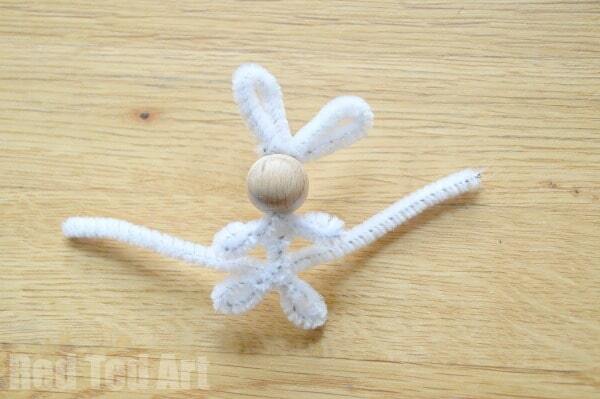 Now you can form some little arms ? left and write. Give them a little twist to secure them. 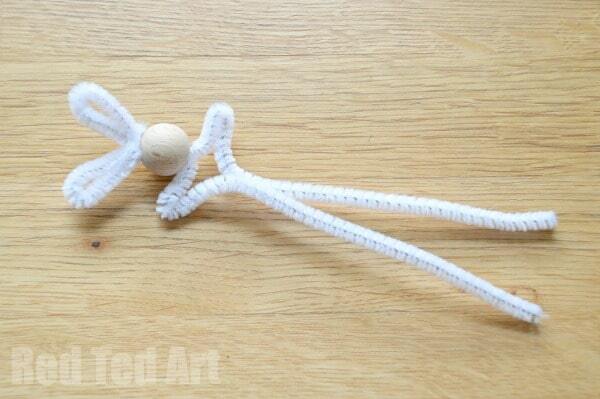 Make a short body for your pipe cleaner bunny. Then form two little bunny legs. Wrap the remaining pipe cleaner around the bunny?s body ? this is to fatten it up a little. 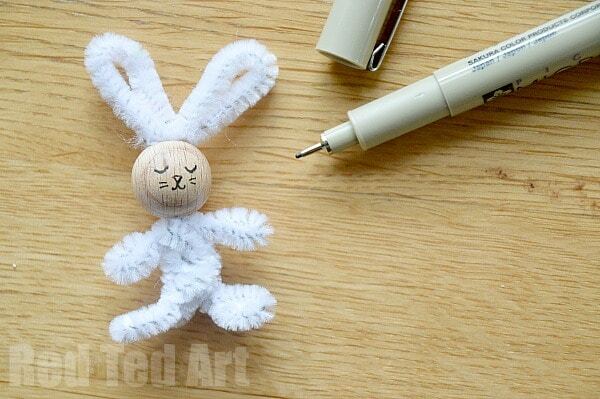 Using a fine pen that doesn?t run on untreated wood, add your bunny face details. Finally add some little pink cheeks.. say aaaah. And your pipe cleaner bunny is finished! How easy was that?! Hope you a have lots of fun!